Speaking of Posting Photos – KeaPOD 41 | KeaNeato! This is the first digital photo I ever took. It’s not framed well because I didn’t understand that with digital cameras, the viewfinder is pretty much useless, but I love the lighting. Note: The file size of this photo is 275KB; the .tif version is 40.6MB. That should give you a better idea of what I was talking about in my previous post. 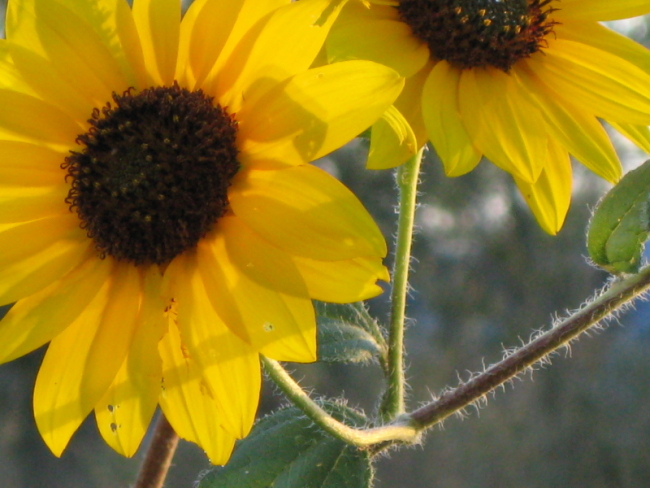 This entry was posted in beautiful, POD (picture of the day) and tagged photography, sunflower. Bookmark the permalink.